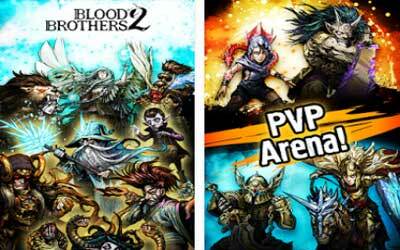 This is old version Blood Brothers 2: Strategy RPG 4.6.1 apk for Android, you can install it if you want to downgrade or install old app. It is top Role Playing apps from DeNA Corp.. This 4.2/5 rated game has been optimized to the latest upgrade, so you will find more amazing features inside. The only thing is, you need to pay with the real money only if you want to purchase for several special items in this game. Just like the other application, this one belongs to in-app purchases as well. However, to say at the least this game needs your skill in creating a perfect plan or strategy to enter the world. You need to use your skill in playing this game. With the different level, you will feel that it is extremely challenging and perfect to be your companion in your leisure time. At least, this game is totally entertaining for everyone who loves strategy RPG game. With the perfect, comfortable and optimized design, Blood Brothers 2: Strategy RPG for Android deserves your attention. The 4.6.1 Update marks the end of the Ghostbusters paranormal activities that haunted Arnashia. We have added some important bug fixes, such as the Morale early expiration and Max Level Boost decreasing stats.